When you need skilled nursing care either for short-term rehabilitation or your health needs require that level of care, it’s essential to make the best possible decision, to get the best possible care. Our comparison checklist provides you with a host of questions to choose from to make the best decision. If you’re planning a surgery, plan your recovery! If you need more care, evaluate your options! Seniors Resource Hub® Nursing Home/Skilled Nursing Facility Comparison Checklist has direct questions and suggested actions, enabling you to compare facilities and make a fact-based decision as opposed to an emotional decision. People planning for their retirement. People that are living their retirement and need to make changes to where they live and the level of care they require. 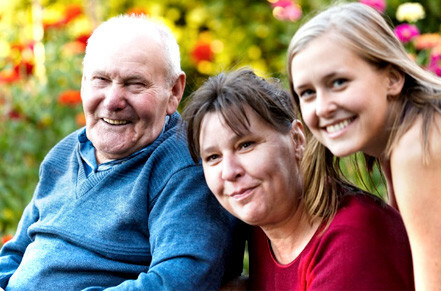 Caregivers; family members; spouse, children, siblings or other designee who will be responsible for selecting alternative care and housing along with their other caregiver responsibilities. People who need short-term rehab. Members of the sandwich generation: a generation of people, responsible for bringing up their own children, maybe even have grandchildren they want to spend as much time with and have accepted the responsibility of caring for their aging parents. People who need memory care. Hospitals, Social Workers, Case Managers, long-term care providers, physicians and managed care organizations so they can share with patients and caregivers. Employers or Employee Assistance Program (EAP) providers to help the millions of caregivers who deal with managing care for a loved one and maintaining all of their other responsibilities including their job. Elder law attorney’s, financial planners, wealth managers, trust advisors, life, health, Medicare gap and long-term care insurance providers to share with their clients for either planning their living or care options or in emergent situations. Pharmacies; provide a tool to educate and manage needed care and living changes for their clients, proactively or emergent. The Nursing Home/Skilled Nursing Facility & Rehab Comparison Checklist is a tool that relies on the author’s experience as a caregiver. Typically, when someone needs to choose a Skilled Nursing Facility or Rehab, they haven’t had any past experience with this type of care, living or decision making, in other words, they don’t know what to expect. The right amount of well-trained staff to support their community to the highest standard. Information is communicated as a whole to the community and specifics to the resident and family/caregiver(s). Quality of care and services offered match your needs. Management team that leads their team to provide caring and compassionate senior living. This checklist helps eliminate emotional or impulse decisions & allows for a happier and smoother transition. Your information provided to us is safe and we do not spam. Please enter your details below to SIGN UP! 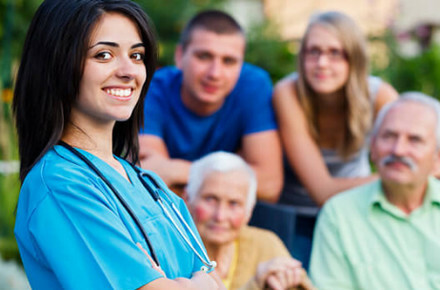 The Nursing Home/Skilled Nursing Facility Comparison Checklist was created from years of experience; those experiences were organized into a framework which allows for multiple facilities to be reviewed, priorities to be set and a selection made that is best for all involved, especially the person(s) that will be living in their new home. 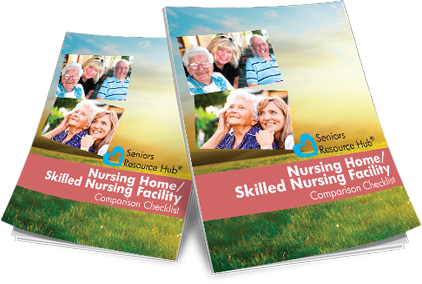 The Seniors Resource Hub® Nursing Home/Skilled Nursing Facility & Rehab Comparison Checklist has direct questions and suggested actions, enabling you to compare facilities and make a fact-based vs. emotional decision. A detailed question set that examines critical aspects of the services and operations of the Nursing Home/Skilled Nursing Facilities & Rehab. An easy to use structure to record answers. A straight forward summary to review and compare Nursing Home or Skilled Nursing Facilities and Rehab providers. With the resulting information well organized, you will be able to make a knowledgeable versus an emotional decision for you or a loved one’s continuing care. The Comparison Checklist is a collection of questions and suggested actions which will provide important information for the fact-based Nursing Home/Skilled Nursing Home decision making process. This checklist should also be used for Rehab. When comparing options and making a decision, don’t rely on your memory alone and risk the possibility of confusing one option or facility with another. The checklist helps eliminate emotional or impulse decisions and allows for a happier and smoother transition. Once the move has been made, you don’t want to regret your decision. Best care for yourself or loved one. Well trained and sufficient staff. Services match your present and future needs. Strong business history and stability. Reduced hospital re-admissions and costs. Safer environment; maintain high quality of life. Better transition to post-acute care; faster recovery. Best care and housing decisions based on individual needs. Component to complete Retirement and Senior Living plans. Better care decisions, less problem management; more efficient. Platform for Advance Care Planning. Understand and participate in care plan; prevent the stress of readmissions. We can provide paper based checklists for those who do not wish to use the electronic version. The paper based checklists are separate from the electronic versions and you will not have access to the powerful tools associated with their electronic counterparts.